Intwixt extends the reach of your favorite messaging app by enabling you to run business workflows directly in the app. Whether you’re targeting a channel like Slack or something more generic like SMS, Intwixt has the tools to extend the channel’s capabilities to deliver business workflows. Slack is where we go to connect with co-workers and clients, making it the perfect platform for delivering business workflows. If you’re unfamiliar with recent updates, you’ll be surprised at how much you can do with Slack. 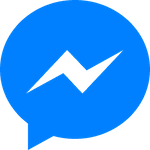 If you already have a vibrant Facebook community, Messenger makes it easy to take advantage of advanced features like event notifications and market segmentation to keep your customers connected. Amazon-for-business is more than just a catchphrase. Integrate APIs, Lambda Functions, Websites and more. Intwixt’s workflow designer simplifies how you engage your customers, allowing you to track and manage robust worflows. Our integration approach helps you build and manage solutions. Get productive in minutes. Stay productive over time. Manage solutions from a central location. Adapt to meet changing requirements.